LEGO Club is Sunday, Nov. 2. from 1:30-3:00. Inspired by Halloween, November's theme will be Surrealism, an art movement from the 1920s in France that encouraged exploration of dreams, nightmares, and nonsense. Think about creating something surprising, weird and wonderful, dreamlike, unreal, that couldn't happen in real life. This is a challenge! My favorite example is a LEGO Panthouse, which is just what it sounds like--a House made out of Pants! LEGO Club is informal. You may drop in between 1:30 and 3 and try out the theme or do free play or both! We supply the materials. You don't need to bring your own. Pit, pit, pat! Pit, pit pat! What do you see in your big old tree? That's what I see in my big old tree. Two funny clowns looking at me! Our third Rainbow Fairy Party is coming up on Saturday, Nov. 8 from 2:00-4:00. Enjoy a fairy story/fairytale, crafts, and fairy snacks with your fellow fairy enthusiasts and wear fairy costumes if you like! Register on our website so we know how many to expect! We've got two great events to get kids in a Halloween mood! On Sunday October 26, from 2-4 p.m., kids are invited to make some Halloween crafts. All materials are provided -- just bring your creativity! Then on Monday, October 27, Takoma Park storyteller Candace Wolf will tell some scary tales. There will be two sessions: the first one, from 7 p.m.-7:45 p.m., is for ages 5-7 and will feature some funny stories that are a little bit scary. Then, from 7:50-8:50 p.m., Candace will up the scary quotient and tell stories best suited to ages 8-13. Registration is encouraged, by not required. To register please go to: Library - Takoma Park or call us at 301-891-7259. Thanks to the Friends of the Takoma Park Maryland Library for sponsoring both of these programs! Our monthly Crafts program is Sunday, October. 26 from 2-4. Drop by and make some Halloween and fall crafts, including candy corn sand art, scratch art, monster masks, and tons of stickers! Sailing in to Takoma Park (up Sligo Creek? ), Wednesday the 15th, the authors of The Doll People series, Ann M. Martin and Laura Godwin, will meet you here at 7:30 in the children's room. The plot of Doll People number four? Boxed up for a trip to the attic, the the co-founders of the Society for Exploration and Location of Missing People instead find themselves on a ship bound for England. Politics and Prose will be selling books but attendance is free. Kids' author Shannon Hale will present her newest book, The Princess in Black, on Tuesday Oct. 14 at 7 p.m. 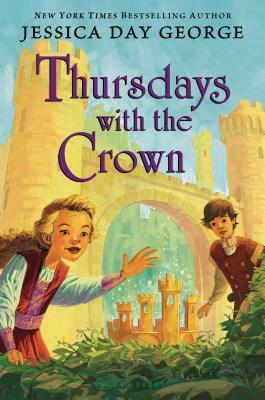 The book is the first in a new series for ages 4-8 by Hale, who has won a Newbery Honor for Princess Academy; she's also the author of two popular graphic novels, Rapunzel's Revenge and Calamity Jack. Politics & Prose Bookstore will be selling Hale's books at our program, but the event is free and no purchase is required to attend. Join us on Thursday October 9 at 7:30 p.m. to meet a trio of authors who write fantasy novels for kids. 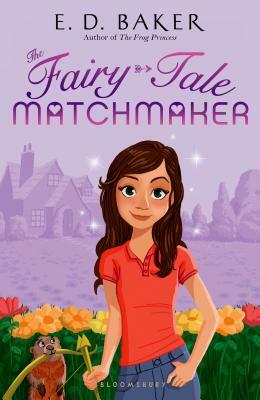 The authors include Annie Barrows, best known for her Ivy + Bean series. 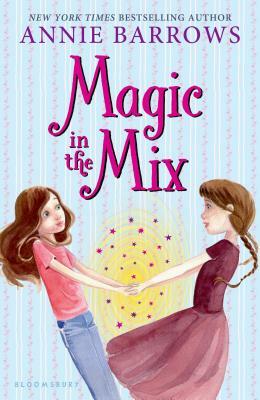 Barrows will present her latest book, Magic in the Mix, a sequel to The Magic Half. She'll be joined by authors E.D. Baker, who will talk about her new book, The Fairy-Tale Matchmaker, and Jessica Day George, who will present her latest novel, Thursdays with the Crown. Politics & Prose will be selling the authors' books at the event, but our program is free and no purchase is required. Please join us and meet some wonderful authors who write for kids! Bedtime Stories is Tuesday, the 7th at 7:00. It's all about bathtime and bubbles and we'll do crafts at the end: a rubber duckie paper craft and shooting star sand art! Come to the library on Saturday, Oct. 4 at 1:00 for Bubble Trouble!, a storytime and crafts event featuring bubbles. The program content is intended for children ages 3-7 but younger siblings are welcome. There will be an outdoor portion of the program featuring a bubble machine and possible bubble race! The Club is drop-in and runs from 1:30-3:00. It is for children ages 5-12.